The first 2.3 chapters of Peak Evolution can be viewed using the “Look Inside” feature on the Amazon.com product page for the Kindle ebook version. Below is Chapter 4. More excerpts will be revolving through this webpage over time. Register or Login to see another chapter of Peak Evolution for subscribers only. If you are not using your resonance, you cannot operate at your full potential. Period! If you perfectly mastered and executed all of the peak evolution science, you would achieve exactly the same evolved state as would result from following your resonance moment by moment. If you did nothing but follow the dictates of your resonance, you would end up with a life in alignment with your naturality in the naturality flow, doing what you love, and what is most meaningful to you. In other words, you would progress along your natural growth path. This is one of the confirmations I have that the naturality paradigm is an accurate representation of the way we have evolved to operate. This is also suggestive of how fundamentally powerful this Optimizer is. We are all born with resonance. When you know what to look for, you can observe how very well our children harmonize with their resonance. Unfortunately, for most of us, our resonance has been “culturally disabled.” To reconnect to our resonance, many of us will need to do extensive “unlearning” to release us from the interfering rules, habits, and fears we’ve accumulated. This is why I developed the six technologies and the other nine Optimizers. There are many routes to the naturality paradigm and peak evolution. However, let’s not give up on our resonance just yet. It’s like a muscle: the more you use it, the stronger, more effective, and more reliable it becomes. Let’s explore resonance in greater depth so you can begin to rebuild your connection to this powerful information source today. Experimentation and experiential learning are the best methods I can suggest for reclaiming your resonance connection to the naturality flow. Therefore, the thrust of this chapter will be to stimulate experimentation with your resonance as you go about your daily living. Out of that experimentation, you will develop new beliefs about how nature operates and your own enhanced functionality. A number of the quantum leaps listed in the Quantum Leap Living chapter will occur automatically as a result of conforming to your resonance. Our ultimate goal is for you to do only activities you resonate with one hundred percent of the time. Think of resonance as a powerful built-in guidance system that is frequency-based. It is a kind of “navigational device” taking us in the right direction for optimization, growth and naturality. Resonance is our connection to nature’s intelligence, pulse and knowledge. It is a source of information which transcends the bounds of time and space. It is the voice that directs us from the deepest point of naturality within us. Omniscient resonance can tell us the fastest route to any goal. It can link us to coincidences that can accelerate our progress exponentially. It can keep us safe in any situation. Technically, resonance is “the reinforced vibration of a body exposed to the vibration of another body.” If you can recall your high-school physics, you’ll undoubtedly remember the experiment demonstrating “resonance.” When a tuning fork is struck, it begins to vibrate. The vibration emits a tone. As the vibration/tone “travels” through the air to another identical tuning fork, the second tuning fork starts vibrating until it, too, emits the same tone. A vibrating tuning fork will “resonate with” or “set up a vibration in” another tuning fork only if the second tuning fork is inherently the same frequency. It appears that human beings have a physical ability to “resonate” in the same way. Science may ultimately find that our resonance is a built-in frequency-sensing device. It may operate like the “echo-location sensing” of dolphins and bats, the navigational mechanism of migratory birds and homing pigeons, or the way a lost dog can walk miles to the exact location of its master. There is growing evidence beyond the scope of this book that we are not only evolving towards the ability to operate at higher frequencies, but that we are learning to operate with the most basic frequency reality of the universe. For now, I would like to just introduce the first step in this direction, resonance. Resonance can be experienced as a “frequency change” in your energetic structure –a “pre-emotional” state. Alternatively, it can be a full “emotional shift” to enthusiasm and excitement. At minimum, your resonance is an internal “knowing” that something is “you.” Like all Optimizers, resonance identifies the naturality flow for us and the ideal actions for re-optimizing our system. By using your resonance, you’ll observe first hand, that there is indeed a “dynamic order” to the universe and, by reflection, to your life. Resonance is part of the new frequency-sensing capabilities that human beings are evolving. Resonance enables us to select adaptive, optimizing action based on frequency. It is a pre-intuition, pre-belief, pre-cognitive, and often pre-emotional state. Resonance and intuition are on the same continuum for providing us information, but resonance is more purely an expression of nature’s intelligence. It provides instructions without words, knowledge, beliefs or explanation. By comparison, intuition usually has all of these. Intuition is much more developed. Intuition is knowledge gained without rational thought. Intuition is part of the spontaneous knowledge portion of the knowledge technology that will be discussed in the next chapter. With resonance, there is no knowledge to act on, just a feeling or a vibration when your consciousness has focused on something that is the same frequency. Yet, once you have experimented with this frequency-matching ability and seen what it can do, you will know it has access to all information — past, present and future. Therefore, as you reconnect with your resonance, you can operate as if you have access to all knowledge including nature’s intelligence. Resonance adds nature’s capabilities to your own to take you beyond your full potential. Think of your resonance as an indication of your natural vibration or frequency at any point in time. You want to do only those activities which have this same frequency. As you are choosing activities, pretend you are one of the tuning forks. Assume that the most adaptive activity for you to be doing next will feel like the second tuning fork has just begun to resonate. If you scan down a list of possible actions, you will find the one that most represents the frequency of the second tuning fork. Review your to-do list, your project plan or your options and choose your next task based on resonance. Which activity, when you contemplate doing it, feels like it generates the surge of energy of a second tuning fork starting to resonate? This is the most adaptive activity for you at the moment. It is the same frequency that you are right now. Communications from your resonance can be as loud as “great enthusiasm” or as quiet as an “inner knowing” that an action reflects the “authentic you.” It can be experienced as a surge of energy when an adaptive action is contemplated or a complete energy drain when you’re considering an action which goes contrary to the flow of optimization for your personal system. The strength of the sympathetic surge of energy will demonstrate the degree the activity will promote the optimization of your system. Review times you did things in the past that “didn’t feel right.” Did they work out? If the larger percentage did not, then you already have proof that your resonance was accurately warning you not to proceed. Now, what about the reverse? Think of times when you did something because it “felt right” — even though all logic, all rules, and all the people in your life disagreed with you. Did these work out? Again, you can gage the accuracy of your resonance from your own experience. Thirdly, review times in which you were drawn to a particular activity but didn’t follow through. Did you later find out that this was precisely the activity you should have done? With practice, resonance can become a reliable tool for decision-making and determining your direction to optimization. Experience helps you to feel your resonance better. If you feel that someone or something is pressuring you from the upper back and neck region to take a particular action, resist it. This is old cultural programming and fear, not your resonance. If it feels like something out in front of you is magnetizing you into proceeding in a direction which energizes you, that is likely your resonance. Follow that urge in order to speed yourself towards your goals. External pressures or fears can corrupt the communications from your resonance. Try to release yourself from these to better “hear/feel” the messages from your resonance. Resonance has an “on” switch and an “off” switch. It is important to honor the exchange of a resonance “on” switch for an “off” switch. When an activity that once had resonance energy now drains you, it’s time to stop. Signals of pain, tension, stress and fatigue are indications that you are violating some elemental force of nature. Your resonance is indicating that this is no longer the activity you should be doing given the optimization needs of your system. It may simply be time to rest. It may be there is something else you should be doing right now. You may also be off track; or a delay is necessary until some other event occurs before you can continue; or you have achieved what you needed to with this particular activity. With experience, you’ll come to understand the distinctions in what your resonance is communicating. The Resonance-Rating Exercise is a means to combine resonance, intuition and rational thought to understand current situations better or to take safe, adaptive, effective action into the future or the unknown. When you have a list of activities you need to do, you can use resonance-sensing to rate each of the activities. Or, make a list of every activity possibility you can think of for a major project or to enter a new territory. With any list of activities in hand, take your consciousness or awareness down to the center of your chest. This is to try to minimize the work of interfering fears and beliefs in your head where, for many of us, we tend to focus our consciousness. Taking it to your chest will change your pattern. Now, from the center of your chest, quickly scan down the list rating the degree of energy surge you feel for each of the activities out of ten, with ten being high. Ensure you do not engage your mind. Disengage judgment and analysis. Moving quickly down the list to capture your initial reaction increases your accuracy. We are trying to “hear” what nature has to say rather than be limited by our knowledge and intelligence. We are looking here for simply a visceral reaction to the activities based on the strength of their resonance. Review the activities you rated a ten or the ones with the highest numbers. Write down a number of possible sub-activities you could do under each of these. Again, take your awareness to your chest and repeat the resonance rating. Now look at the activities with high ratings again in your normal consciousness. These are your hypotheses to be actioned based on your resonance. Do a bit of analysis to see if you can figure out what nature is trying to tell you about how to accomplish your goals. Give yourself a moment for intuitive knowledge to spontaneously appear while you are so focused on the activities. Eliminate the activities from your list which have low resonance-ratings. Now, find a safe way to action each of the high-rated activities to test out the accuracy of your resonance-rating while proactively trying to accomplish the goals of your list. Only by taking action on these hypotheses will you gain the experiential learning about what your resonance knows and doesn’t know. 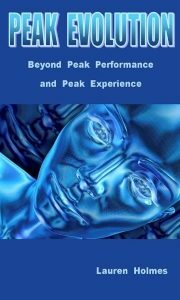 Only by taking action will you be able to discover new levels of peak performance for yourself based on your resonance. This resonance-rating process can be used for any project that requires you to go into unknown territory safely and quickly. This is why it is a key component of the pathfinding technology. It will only be necessary to write things out like this until you have clear communication with your resonance and you have proven to yourself how it works. As you build your resonance muscle, you will eventually be able to “hear” your resonance on the fly within the process of living. You will have become accustomed to operating in the present. You will have built up a trust in your resonance that allows you to take actions when you have no idea where you are going. When you have reached this level of proficiency, you can still return to the Resonance-Rating Exercise when you have an emotionally charged situation in which it is difficult for you to reconnect with your resonance. The Resonance-Rating Exercise can also be used to sense out into the future; to see what your resonance thinks is going to happen. List off all potential possibilities that you can imagine occurring and resonance-rate them out of ten. When you review the high-rated items, you may find spontaneous knowledge occurring giving you further insight into the future. Because we live in a very volatile world, things may change in the future and some of the events will not come to pass as indicated by the exercise. However, see if your resonance-rating of future events is not giving you what you need to know right now for your current peak performance. To “hear” the instructions of your resonance, you must operate totally in the present. This may be no easy feat — especially for those of us accustomed to worrying about the future, or who insist on wearing past failures at all times. You need to just stop everything. Move entirely into the present. Feel, this moment, precisely what it is that you would like to do next if you were 100% free; 100% safe; guaranteed to succeed; if the world was perfect; if you couldn’t hurt anyone, no matter what you did, nor be hurt; if the world was entirely abundant; if there were no restrictions whatsoever. It’s not easy for a novice, but it’s important to jettison all of your baggage for the moments you are trying to “hear/feel” your resonance. Once you start to operate with your resonance, you will get the feeling you’re linked to all knowledge and events — past, present and future. Your resonance appears to be omniscient. You will find yourself preparing for future events you don’t yet know about. You’ll find yourself in the right place to collide with the exact information coincidence you were seeking. You can take decisions based on your resonance with no information yet feel absolutely safe. Later you will have confirmation that your resonance was accurate. You’ll find out information that, had you known it before the decision, you would have made the same decision as with your resonance. As a result, you will begin to operate as if you are more intelligent than you are. You will have added nature’s intelligence and knowledge to your own. In order to get the maximum benefit from your resonance as an information source and an evolutionary guidance system, you will want to refrain from requiring it to give you step after step in a linear progression. It is advisable to relinquish beliefs in linear time, linear space, or linear process for the duration of Peak Evolution. Remember, nature is nonlinear and your resonance is connecting you into the flow of nature. Let nature show you how to bypass a multitude of intermediate steps to more effectively arrive at a goal state. Releasing a belief in continuity means you cease to view life as a linear series of separated events. Rather you can begin to evolve the consciousness that ultimate will view everything as one homogenous event that occurs simultaneously. An analogy can be made with a reel of movie film. Rather than experiencing each frame one after the other in order to understand the whole picture, you will come to view/know all frames, simultaneously, from the present. Linear time and space are cultural constructs. In the naturality paradigm, we have to think in terms of how nature does things. As you comply with your resonance more often, you will gradually release the habit of needing a linear pathway. You will come to trust, through experience, the infinite number of nonlinear ways you have observed nature using to get you to your goals. By following your resonance, you will actually experience the powerful results of nature’s nonlinear action. Nature will teach you to be nonlinear so that you too can operate by emergence and quantum leaps. Experiment with your resonance until you can trust it above your rational linear thinking. At this point you will move to a new level of active intelligence. You will have absorbed nature’s intelligence. Resonance may make a walk attractive in the middle of a crisis because there may have been no place for creative, unlimited or nonlinear thinking in your previous stressed mode. You may have been driving yourself to pursue a single channel that was the wrong channel. Or, you may have been pushing against block after block in the wrong direction without realizing it. You needed some distance in order to notice you had been breaking the rules of the Pathfinding Methodology in honoring the blocks and flows. Or you needed the walk to actually “collide” with an information coincidence that would solve everything. Keep checking how your resonance operated with 20/20 hindsight to improve its use going forward. STRENGTHEN YOUR RESONANCE “MUSCLE.” E X P E R I M E N T !! I’d like to give you lots of ideas about how to experiment with your resonance in order to release it to full power. The more you use it, the more powerful it becomes. For many of us, living by the dictates of our resonance is a dramatic change. Give yourself some space to make mistakes. As a precaution, you might want to practise on less important things for awhile before risking major decisions. You are learning a new language and a new modus operandi. The key is to keep experimenting with your resonance. You could record decisions or actions that your resonance has recommended. Then do what you would have done without the resonance and compare the results on an ongoing basis. Which was more accurate — your rational mind or your resonance? Once you have enhanced your communication with it, you’ll find your resonance outperforming your mind. Ultimately, however, it will be the combined power of your resonance, intuition, and rational thinking that will have you operating at dramatically augmented levels of intelligence. Why not derive numerous tests through your daily living to stretch and strengthen your resonance “muscle” until you can trust it for increasingly larger decisions. Make a game of playing with it all day. Assume it has access to all knowledge and ask for its directions as you go about your day. Follow an urge to call someone even though you don’t know why. Follow an impulse to pick up a book or magazine and open it at a particular page knowing the page will have important information for you. Assume you have this capability and you will soon discover you do. If you want to purchase a particular piece of apparel or find a particular book, for example, assume you can do a geographical scan in your mind to sense where the item is located, regardless of whether you know of a store existing in that location. Follow your urges after that, for example, to open the Yellow Pages to see if there is an appropriate store in the identified location or to call someone or, as your skills and trust develop, to simply drive to the identified area following your urges to make right and left turns as they arise. When you are rushing through your day, stop to check if you are driving yourself to do things you don’t enjoy or that make your energy “nosedive” when you think of having to do them. Let’s say there is a task that you absolutely despise doing but which must be done. When you’ve released yourself to living by your resonance, here’s what might happen. Your resonance will direct you to a time to do the task where you can move into flow state and do the whole task “in the effortless effort.” In fact you will be enjoying all of the usual benefits of being in flow state — noticing neither time nor space nor effort, experiencing emotional highs, feeling refreshed and reintegrated, etc. If a negative task must be done, resonance will signal the time to do it that is advantageous for your system. Alternatively, you may find you are experiencing real resistance with your resonance to do a particular job. Where you used to struggle and push yourself to get through it, now you honor your resonance and wait to see what happens. Events could occur to entirely remove the necessity for doing the work — which somehow your resonance knew but intellectually you had no information to suggest the task would not need to be done. Perhaps procrastination is not the discipline failure we might have assumed. Rather, it might be a more adaptive approach of waiting for more resonance information or honoring your resonance “off” switch. Another reason why your resonance may be fighting you on a job that must be done is because you’re attempting to do it before some other events unknown to you have to occur to make it easier for you to do the undesirable deed. Therefore, your resistant resonance is trying to get you to delay. You have the right task but the wrong timing. Eventually, your understanding of your resonance will become so acute that you are able to differentiate between its communications to “not do a task” as opposed to “delay doing a task.” To perceive distinctions of this nature will require a real commitment to operating in the present. One of the hardest instructions from your resonance — especially for Type A personalities — is to “take no action” — especially after a pretty active set of instructive messages from your resonance. Go with the flow on this and trust your resonance. Many of us tend to want to work on a task until completion. Nature, and hence your resonance, likes to multitask and interleave various projects in order to maximize all resources available. It could be there are activities occurring elsewhere that will make the tasks in a project you were about to do next unnecessary or even dead wrong. Watch for this. Pay attention as information becomes available in the future if there is an explanation for why your resonance halted a pathway that it had been enthusiastic about to that point. You will discover reasons to trust your resonance even more. Resonance can also be used to “edit” which meetings you will attend. Resonance novices often begin by cancelling meetings at the last minute when they no longer have resonance to attend. This sends out negative messages to colleagues you might not have intended to communicate. Therefore, I suggest attempting to bypass this stage of your resonance development and insist that your resonance determine whether you need to attend the meeting at the time of booking. If you have an assistant who books meetings, review your schedule periodically to weed out those meetings you don’t resonate with, with a respectful lead time. Over time, you will come to see that your resonance seems to be operating in compliance with future events which you have no knowledge of. You will come to trust this. By the same token, if you had positive resonance at the time of booking a meeting, trust that. There is information in that positive resonance event to be considered if you feel like cancelling a meeting later. Are your emotions or intellect interfering with your reading the resonance that is continuing to tell you to attend the meeting? Often the reason you set up the meeting is not the real purpose of the meeting as far as your resonance is concerned. Therefore, just because the original rational reason for attending the meeting disappears, if your resonance still flags it, go. Find out what your resonance knows that you don’t. Parking spots are another good place to test out and strengthen your resonance. When you’re pulling into a crowded shopping mall on a Saturday afternoon, aerial view the parking lot in your head. Where is the unknown vacant parking spot that you resonate with? Drive directly there. If this method doesn’t work for you, use your resonance at each intersection to tell you whether to go left, right or straight. For some people, this is also a visual exercise. They picture the three directions possible at the intersection and determine which one generates the little energy surge of their resonance or seems visually more vivid in their mind. A key part of the knowledge technology has to do with a new relationship with books and the written word based on resonance. As you are better able to understand the communication of your resonance, you should be drawn to the book with the answer to one of your outstanding information requests and you should be able to open the book at the right page. Then you should be able to let your eyes fall on the right paragraph without knowing the content on the open page. Your ability to do this will increase as you are living in alignment with your naturality. Your passion for the subject will also affect this ability. Therefore, give yourself some time to practise this, but keep striving. As part of your development on this front, it is important to begin to read with resonance. Since we are attempting to have you do only those things you resonate with, it is important to release your need to read complete books cover to cover. When your energy declines, stop reading! Pay attention to your resonance “off” switch. Open the book at another page if your resonance suggests you are not yet finished with this book. You can use resonance to go to only those sections of the book you need to read. It can also tell you when you’ve gotten everything you need out of a book. Many people have great difficulty not reading a book in the sequential order in which it is written. This is an example of the kinds of rules and habits we have to release to begin to experience the benefits of resonance. The faster you can let them go, the faster you will transition to the new instantaneous connection to information promoted by the knowledge technology. You will want to learn to read only those passages that you resonate with — where your energy goes up with the prospect of reading them. As your energy drops, you need to stop. Test this out. After your resonance drop, continue to read just to verify that your resonance was accurate in telling you that you had gleaned all of the benefit out of the material. Eventually you will be unable to read material you don’t resonate with. You will know it will be a waste of time. Also, it can be pretty exhilarating when, through following your resonance, you begin to consistently read the right thing at the right time. The old method of reading the good and the bad in linear order will seem primitive and unsatisfying by comparison. There are other applications of this new resonance-based modus operandi with written material. If you are a person with a substantial “in-basket,” for example, you could use your resonance to determine what you need to read and what you don’t. As soon as you pick up an item, try to increase the speed with which your resonance determines that it need not be read. To do this, you need to switch from this being an intellectual activity to a resonance activity. In the beginning, anything you discard could be kept in a storage place elsewhere and reviewed some weeks later to make certain that, at the time it was discarded, it was not important for it to be read. In other words, that your resonance was accurate. Going through your “in-basket” is a great place to experiment with your resonance. Keep items, read items, throw items out, or forward them, all based on your resonance, unconstrained by habits, rules, fears and old programming. It’s a little unnerving to take actions without knowing why or where the action will take you. This is something you can only trust with experience. You have to build a relationship with your resonance. The more you experiment with your resonance, the more you will learn to trust it. The more you trust it, the greater the risks you can take based on your resonance. For example, you can make increasingly more significant decisions with less information as your communication with your resonance develops. To get to this point, however, you will want to start out small and take as little risk as possible. Trying to source information is a nice safe way to get started. Be very scientific about testing your resonance. Operate as if you have access to all knowledge and the strengthening of your resonance will accelerate. Beliefs create reality. Deciding that resonance information is not valid before testing it is very unscientific and will create a reality reflective of your belief. Be as objective as you can. Record your result and use it to fine tune your capabilities. If you find yourself in an undesirable reality, retrace the steps in your mind that got you there. At each point, did you follow your resonance over your fears, for example, or your rules, or your habits or what seemed logical? If the answer is “yes,” you may be in a more adaptive reality than you might have initially realized. Wait to see. If the answer is no, you have more proof that your resonance was accurate and should be followed. This audit will help you gain trust in your resonance and improve your ability to understand its messages. Each check into your resonance creates a message event which can be added to actual events in reality that can be tracked for patterns. If you have been operating consistent with your resonance and suddenly you reach a point where you are questioning your direction or position, you can look back over the pattern of positive resonance events and know you are in a safe place on path. If you never transgressed against your resonance to arrive at your current situation, you must be in the right place. Nature is much more orderly and consistent than we assume. There is information in the pattern of your resonance events. If you can’t figure out what to do next or the situation is too emotionally charged for you to trust your resonance, the other nine Optimizers can be used to determine the direction of the naturality flow. They can back up your resonance. They are all signals of the same optimization dynamic for your system. Resonance can provide a new level of safety by having you do activities needed for you to be safe in the future or not do activities that will make your life less safe. As you cease to edit the actions your resonance is enticing you to do, you will find yourself doing things without having a logical reason. Let the scientist in you go ahead and do these activities so you can check in the future if these activities were actually adaptive. Once you begin to prove they were, you will have moved to a new level of safety in your life. You will be hooked into the process of preparing in the present for unknown future events. With 20/20 hindsight, you may find your resonance prevents you from doing something “unsafe” which only becomes apparent to you as future events unfold. Phillip had been waiting for a promotion for two years. He didn’t feel very valued by the executive team at his current employer. Unexpectedly, he got a job offer from outside that was precisely the job he wanted at his current company — with a 20% pay increase. His wife was ecstatic about their good fortune. Phillip really liked everyone he talked to at the new company. Logically, everything was telling him to take the job. However, his resonance said “no.” He had this nagging feeling inside of him that something was wrong but he couldn’t put his finger on it. Because he had a longstanding relationship with his resonance and knew how accurate it was, Phillip turned down the job. One month later, his employer was taken over and the senior management team was ousted. A key player in the new parent company was one of Phillip’s mentors from the past who thought the world of him. He recommended Phillip for the job of president of the newly formed organization with a 40% increase over his previous compensation package. Needless to say Phillip’s trust in his resonance increased. Two years later, the parent company bought the company Phillip almost joined and merged the two under Phillip. He now runs them both. The ability of resonance to prepare you for action required for unknown future events has to be experienced to be believed. Your resonance might suggest that the best activity for you to be doing this moment is preparing a presentation even though you know of no upcoming speaking requirements and you have a number of other time-pressured things to do. Two days later, you may find that all of the time pressured items you thought you needed to do were unnecessary. Out of the blue, your boss is asking you to present with no preparation time, the exact presentation you prepared. Alternatively, you might be working at high speed on a major problem situation that urgently requires resolution. In the middle of your struggle with the various alternatives, your resonance signals you to go for a walk or to talk to a particular friend. With some trepidation you let go of your previous modus operandi and honor your resonance. When you either make the phone call to your friend or take the walk, all of a sudden you learn or figure out the solution to the problem. Roger is an excellent entrepreneur and so was frequently reliant on his resonance even before I became his career manager. From his development of software on his home computer, he had spawned a technology company with revenues of $100 million in 6 years. However, the increasing number of lenders and venture capitalists on his board were squeezing the entrepreneurial spirit out of the company. The company had been in the red for a few quarters before Roger and I began to work together. Some Board members were intent on replacing Roger as President at their next board meeting, one month away. They had given Roger several deliverables they said would be the deciding factor. As intelligent as Roger was, his rational mind could not come up with the means to achieve the demanded deliverables. In the midst of the immense pressure, I worked to release Roger’s ability to access spontaneous knowledge to solve the problems. One of our first tasks was to remove the interferences to his connection with his resonance. Thus freed, his resonance could augment him to new levels of performance. I encouraged him to trust his resonance and take action on its dictates moment by moment. All Optimizers lead to naturality, and resonance is no exception. Resonance would take him to his naturality, intuitiveness, creativity, and the passion that had made his company successful in the first place. These, of course, are also the ingredients in the formula for increasing receptivity to spontaneous knowledge as you will learn in the next chapter. In addition, I encouraged the use of the pathfinding technology you will read about shortly as well as the reality creation techniques in the reality creation technology chapters. One day, when he was up to his neck in alligators, Roger followed the direction of his resonance to go out to his country home for a break. While contemplating the beauty and stillness of the lake, a speech emerged from within him. It was about the future of the nation resting on the entrepreneurial spirit of individuals like he and his colleagues working at his company. The next day, he received a call from one of the local financial associations asking if he would be a last-minute replacement to speak that week. Since the speech was ready, Roger was in a position to accept the opportunity. Roger presented what he had prepared at the lake with immense pride and fervor. The day after his presentation, he received a call from a group of investors and venture capitalists who had been impressed by Roger and moved by what he had to say. The net result was they bought out his current investors and injected the capital he needed to not only turn around his company but take it to new levels of explosive growth and success. Often there are all sorts of reasons why we can’t get in touch with our resonance, especially as novices. Fears, stress, dysfunctional habits, rules, and interfering beliefs can all distort or annihilate your connection to your resonance. I find that I am able to read a client’s resonance better than he or she may be able to because I don’t have the same restrictions and interferences as they do. Perhaps, you have a friend who could do the same for you to expedite the building of your relationship with your resonance. The peak evolution science is always channeling you along your natural growth path in harmony with nature’s optimizing systems. If you will recall from The Ten Optimizers chapter, one of the two directions of the natural growth path is the systematic clearing of interferences to naturality. As a result, you will gradually be clearing the fears, conflicting and limiting beliefs, and toxic emotions that might have interfered with your ability to listen to your resonance in the past. The methods of clearing these interferences are discussed in the Reclaim Your Reality chapter. This ongoing process will gradually help you to “hear” your resonance more clearly. In the interim, here are some additional elements to pay heed to in order to ensure accurate communication from your resonance. Eliminating your judged-judging reflex will also assist with hearing your resonance. Our fear of being wrong is so deeply ingrained that our minds tend to become preoccupied with not making mistakes rather than finding something that will work. And resonance is about finding what will work. The Judged-Judging Reflex chapter is designed to help with this. In addition, can you suspend your knowledge and expertise as to the “right way to proceed?” One needs to operate precisely in the present for resonance accuracy. Resonance sometimes functions as an early warning system. Unfortunately, we don’t always want to hear the news, preferring safe untruths to an uncomfortable truth. Not only your fears but your desires may interfere with your ability to read your resonance. Neutrality and detachment are your best friends when it comes to living by your resonance. Your ability to distinguish the messages of your resonance will increase with practice as you move from using it on unimportant, non-emotional issues to higher risk, emotionally charged decisions. Often, we miss the messages that are trying to prepare us for a different outcome than we expect. Practising neutrality eliminates the emotional and intellectual attachments to a particular outcome which block the messages from our resonance. As part of the reality creation technology, you will come to pursue the achievement of your desired emotional goal but not demand that it come through a specific channel. Rather you’ll be getting used to the infinitely creative means that nature takes us to our desired goals. Therefore, as you progress on this front, you will also be freeing yourself to hear your resonance more objectively. Resonance can be thought of as your link to the larger integrated information systems of the universe. You can limit your capabilities to your own intelligence with your limited view of your world. Alternatively, you can use your resonance to tap into the naturality flow and be able to operate as if you have unlimited knowledge and access to all systems, blueprints and levels of expression in the universe. Your choice. The ways of our cultures have prevented many of us from retaining our resonance connection to nature’s intelligence and the naturality flow. The peak evolution science is designed to release us from cultural constraints so we can transition back to the way we were designed to operate. By understanding the capabilities of resonance, hopefully, we will learn how to restructure our world so we do not interfere with the resonance connection our children are born with. We will want to assist future generations to retain their full capabilities without the restraints and limitations that we might have experienced. And yet which connects us to everything in the universe.